The Sandwich Arts Alliance mission is to increase the awareness and enjoyment of the creative arts for all Sandwich residents and visitors through exhibitions, performances, education, and by mentoring our children and adults. The Arts Alliance, formed in 2015, is comprised of four groups: Visual Arts, Literary Arts, Performing Arts, and Friends of the Arts. Events and membership information can be found at sandwichartsalliance.org. Membership is open to all artists and friends of the arts. 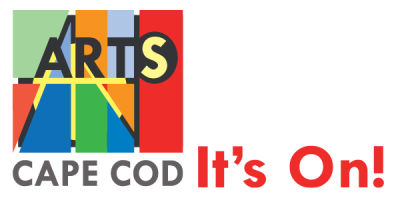 The Society of Cape Cod Craftsmen is one of the oldest craft organizations in New England and is home to some of the most inspiring and talented craftsmen. Our community of Cape Cod crafters represents a range of mediums including pottery, glass, wood, metal, fiber, textiles, paper, and jewelry. We are a volunteer based organization with an elected board among our members. Most members participate in our annual craft fair which is held during the second week of August at Drummer Boy Park in Brewster, MA. This year’s fair will be held August 9, 10 & 11 2016. What makes this show truly unique is that it takes place mid week, Tuesday through Thursday, and the show is exclusively organized and run by the craftsman membership. Throughout the rest of the year, many members will welcome you into their Cape Cod workshops for an intimate look into their creative process and a unique shopping experience.